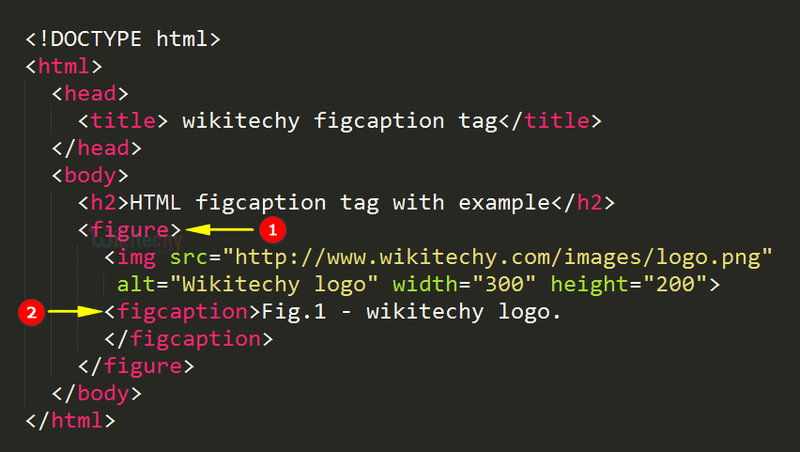 The <figcaption>tag is used to add a caption for a <figure>element. The first or last child of the <figure> element is placed as the <figcaption> element. The <map> tag belongs to flow content, phrasing content and palpable content. The <map> tag supports Global Attributes and Event Attributes. HTML4 does not supports <figcaption> tag. <figure> tag is used to hold <img> and <figcaption> which is self-contained content. The output shows the wikitechy logo by using <figure>tag. 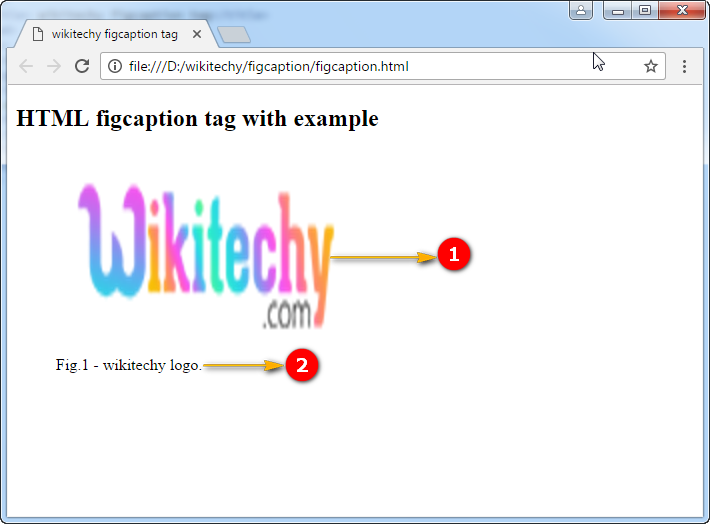 The output shows the “Fig.1-wikitechy logo as a figure caption by using <figcaption>element.